Tiger Zinda Hai has done it. 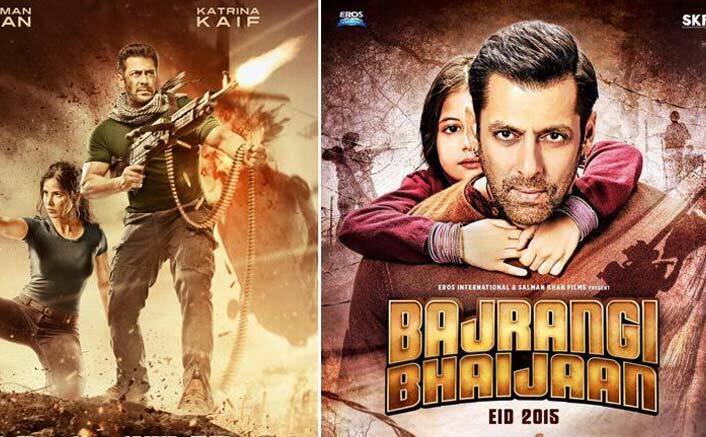 The film has now emerged as the biggest Salman Khan’s money spinner ever, what with the collections going past Bajrangi Bhaijaan. The Kabir Khan directed emotional drama had scored 320.34 crores in its lifetime run and at the time of penning down this piece, Ali Abbas Zafar’s Tiger Zinda Hai will past this mark by tomorrow. The film has collected 320.32 crores. This is indeed a huge feat for all involved with the film and is a reason for celebration in the industry. Tiger Zinda Hai has further reaffirmed Salman Khan’s position as the numero uno superstar that we have in the country today. In fact, such successful streak has been enjoyed only by Amitabh Bachchan and Rajesh Khanna in the past. The manner in which Salman Khan is currently going, what with Race 3, Bharat and Dabangg 3 being his next three out and out crowd-pleasing films, his position is set to be undeterred till 2020 at the least. The film is a huge Blockbuster and could well have be aiming for an All Time Blockbuster status if it crosses the 340 crore mark as well. The Yash Raj production has actually held on quite well on its fourth Friday as well which means 10 crores more would comfortably come by before the end of this week. While that would ensure that the 330 crore mark is crossed, it would be quite a stretch towards the 340 crore milestone and the number may turn out to be a touch and go. Meanwhile, Katrina Kaif can begin celebrating already since she has at least 500 crore more to gather in her kitty before end of year, what with Thugs of Hindostan with Aamir Khan and Zero with Shah Rukh Khan as her next two releases. Indeed a Happy New Year for all! The post Box Office – Salman Khan’s Tiger Zinda Hai Reaches The Lifetime Collection Of Bajrangi Bhaijaan appeared first on Koimoi.